You are here: Home / Culture / In Praise of Corner Stores: Let Burbage’s Bloom! One of the essential pleasures of living downtown on Savage Street, the world’s friendliest street, is walking to Burbage’s, the world’s greatest corner store. On the way I stop to admire the handiwork of my neighbor Bob Pearce, who is repairing his fence. Minutes later I’m sitting in the front window with my “Chris’s Favorite” — a hotdog with slaw, relish, onions and mustard — when George Bowen, who pretends to own the place though we all know he really works for his wife Lisa, slides into the seat next to me. We talk high school basketball and scheme how we are ever going to get a crosswalk on Broad Street in front of the store. I suggest we might need to take matters into our own hands with a bucket of paint at midnight. George likes this idea. Life doesn’t get any better than this in the city, not for me it doesn’t. At a time when fed-up suburban commuters are willing to dedicate silly amounts of other people’s money for a highway that won’t fix anything, at a time when one venerable King Street retailer after another is being replaced by a sports shoe company from Atlanta or a pizza chain from who-cares-where, wandering down to your local corner store couldn’t be better. You would think the city and the neighborhoods would be doing all they could to save these community treasures. And all too often, you’d be wrong. The ghosts of mom-and-pop shops past haunt the peninsula’s neighborhoods. The sad storefront at Tradd and Council, Burbage’s last home before it moved to Broad in 1961, sits empty and decaying. Burbage’s home before that, at Tradd and King, is just as sad and empty. Only a fool would propose opening a shop here, soiling our “residential” neighborhood. Life is not easy or sure for the few that remain. 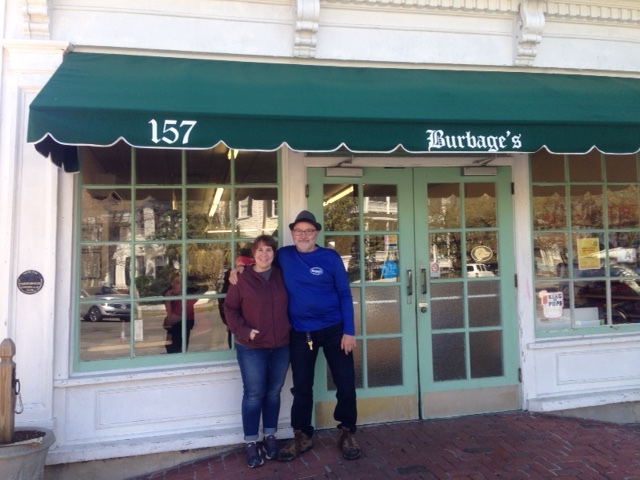 Since January, Burbage’s has been pounded by parking tickets for its employees — it’s mostly the Bowen family — and its customers who stop for a minute while they run in after school or after work. “It really exploded this winter in January and February,” Lisa Bowen says. A new meter maid? Payback for George’s advocacy of a crosswalk? They can only guess. But this much they do know: This is bad for business. A couple of blocks away, Rob Bouton runs another neighborhood gem, the Queen Street Grocery, which has been there since 1922. Alice never had a restaurant in Charleston, but she would fit right in at Queen Street. Bouton has a few tables on the front sidewalk, but has given up a perfectly reasonable idea of doing the same in his back garden. While most supported it, he said, a couple of neighbors — it is always a few, and you know who you are — made it clear they would make life difficult. His lawyer told him it to forget it. And then there is J&W Grocery at Wentworth and Pitt. J&W Grocery is just the kind of corner store that has been a staple of the peninsula for generations and we are losing. 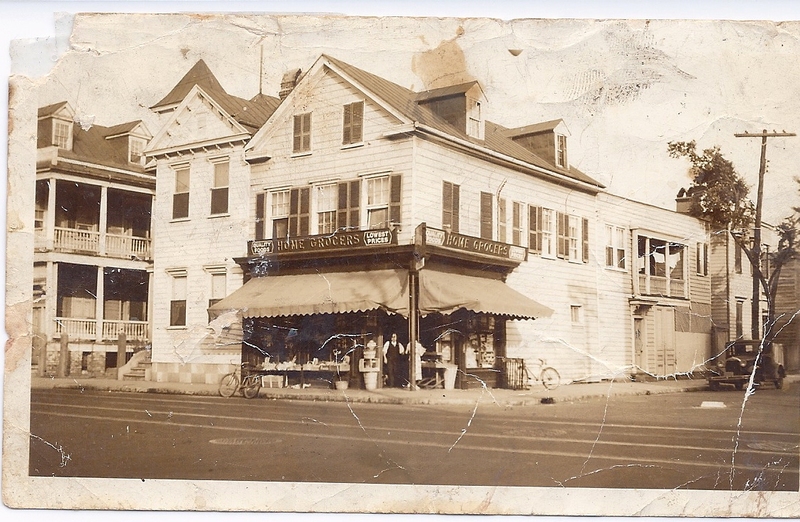 The same Greek immigrant family operated Nick’s Superette on this corner for almost a century, run first by Nick Kaleondgis and then for 55 years his son-in-law Peter J. “Mr. Nick” Alvanos. “Daddy was a fixture there,” says John Alvanos, who delivered groceries on his bike as an 8-year-old. His family still owns the building. Ismail, an immigrant not from Greece but from Egypt, ran J&W two blocks away at Pitt and Montagu for 16 years before that building was sold last year. He could stay open until 11 p.m. there, but he’s required to close his new shop at 8:30 p.m. Monday through Saturday. He can only operate from 1 p.m. to 6 p.m. on Sunday. While he would like to say open until 11 p.m., he has negotiated an agreement with the Harleston Village Neighborhood Association that will allow him to operate until 10 p.m. He is expecting a couple of neighbors to complain about traffic, noise, fill-in-the-blank at Tuesday’s BZA meeting. He is holding his breath. A few blocks away, CVS (annual revenue: $178 billion) is open 24 hours a day, seven days a week, selling almost everything J&W does. I like CVS — it doesn’t sell cigarettes — but it can take care of itself. Mom-and-pops like J&W, Queen Street Grocery and Burbage’s live a more precarious existence. Here on the peninsula, most of us have chosen to live in a city, not a suburb, not some residents-only gated community. We are not protecting our neighborhoods when we squeeze out commerce, but turning our back on our past, undermining our shared sense of community. And forcing us to get in our car if we want so much as a quart of milk. In her 1961 classic, “The Death and Life of Great American Cities,” Jane Jacobs wrote about Bernie and Ann Jaffe who ran a candy store in her Manhattan neighborhood. In the mornings, the couple would supervise small children as they crossed the street at their corner. They would keep keys for neighbors who were away, lend an umbrella to one customer and a dollar to another. Jacobs could have been describing George and Lisa Bowen a half century later in my neighborhood. I haven’t seen George out there helping kids across Broad Street in the morning, but he has been waging a lonely (so far) losing battle for a crosswalk for his customers. Lisa and her kids have been known to feed cats and walk dogs for customers who are away. And if I forget my wallet, they are the only people in town who will give me credit. We need more George and Lisa Bowens, not fewer. We are poorer without them. Steve Bailey writes regularly for the Commentary page. He can be reached at sjbailey1060@yahoo.com.